Legionella pneumophila or Legionnaire’s Disease, as it is more frequently known, is a potential fatal form of pneumonia and everyone is susceptible to infection. It is a bacteria readily found in natural water sources but usually harmless as the numbers of bacteria commonly found in natural water sources is low. Additionally the conditions found in these sources are unlikely to lead to infection. Legionella becomes a danger to us all when conditions are right for the bacteria to breed. Water temperature plays a key part in encouraging bacteria growth. Temperatures between 20-45˚ Celsius are ideal for bacteria growth. Infection is normally caused by inhaling small droplets of water (aerosols) and that is why showerheads in domestic and commercial properties are a key source of Legionella infection. Testing these sources should be a key part of a regular testing programme. The storing of water, particularly when water temperatures are ideal for bacteria growth (20-45˚ Celsius), can also present the possibility of infection. The use of and/or the recirculation of stored water should, therefore, be avoided. Testing areas where the potential for water storage is essential in regular testing programmes. Legionella bacteria will also breed more effectively where deposits (rust, sludge, scale and other organic matter) within water systems are present. It may be difficult to assess your water system to determine if these deposits are present but a Risk Assessment by a professional Risk Assessor will help you understand this along with any other areas of concern within your water system. You are responsible for the health, safety and welfare of your employees or any other person(s) in your care (self employed persons and/or tenants). Your duties under the Health & Safety at Work (HSW) Act and the Control of Substances Hazardous to Health (COSHH) law apply to the risks of exposure to Legionella bacteria. Policing of this legislation is overseen by the Health & Safety Executive (HSE). The HSE has issued an Approved Code of Practice (ACoP) for the guidance on the regulations and legislation, specifically for Legionnaires Disease. This code of practice is commonly known as L8 and is available for purchase from the HSE website. L8 summarises the regulation of preventing or controlling the risk from exposure to Legionella bacteria as follows; “These Regulations require employers to prevent, or where this is not reasonably practicable, adequately control, the exposure of any employees to substances hazardous to health. Employers are also required to maintain, examine and test control measures and, at suitable intervals review and, if necessary, revise those measures. They must also keep suitable records of examinations, tests and repairs of control measures.’ Section 3 of the HSW Act requires employers to ensure that non employees who may be affected by work activities are not exposed to risks to their health and safety. Additionally Section 4 of the same Act places a duty on anyone responsible for the workplace to ensure that the premises do not endanger people using them. Although it is not explicitly clear, a Landlord could be classified under this Act as self employed (“an individual who works for gain or reward otherwise than under a contract of employment, whether or not he himself employs others”) and a Tenant classified as a non employee. It is our opinion, therefore, that it would be prudent for Landlords to consider themselves governed by the legislation and regulation regarding the control of Legionella and should adhere to the guidance set out by the HSE. It is clear that the testing of water systems is of paramount importance to ensure, not only adherence to legislation and guidance, but also the health, safety and welfare of anyone in your care at all times. We provide a service to ensure that this testing can be carried out in a simple and affordable way. We provide testing kits that contain easy to follow instructions (we also have an explainer video), sample bottles to collect samples and collection thereof by way of courier*. The samples are then tested in a UKAS accredited laboratory and the test results are certificated in order to help you comply with current legislation and guidance. 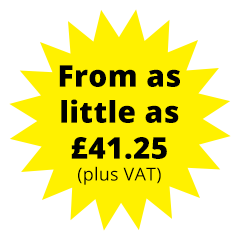 This whole service is included in our market leading price with nothing further to pay and no contractual obligation. As our kits can be posted (we use Royal Mail as standard) we are able to offer our service to the whole of the UK. This has proved most beneficial to those in areas of the UK where access to this type of testing can be both sparse and, probably as a result, expensive. The assessment of risk is another key area and one which we can help you with. We do not specialise in this area but work with preferred specialist partners who cover the whole of the UK. We offer introductions to our partners for a free no obligation quotation. In short we believe we provide a vital role in helping businesses and individuals comply with current legislation and guidance regarding Legionella control and testing in a simple and affordable manner. Our Legionella Testing Kits contain a sample bottle(s), full instructions and a courier or Royal Mail Freepost bag. This is everything you will need. This along with the testing process in our UKAS accredited laboratory and test Certificate is all included in the price. There are NO OTHER FEES. We usually send out our Legionella Testing Kits on the same day as you place your order. Once the samples you collect are ready you can arrange courier collection or drop off the samples at a local Post Office using the Freepost bag provided. You can choose either option whilst ordering a kit and both are included in the price. It takes 10 days to culture Legionella in our UKAS accredited laboratory. This process cannot be expedited. Our laboratory will then analyse the results and a test certificate will be issued. We, therefore, ask that you allow 14 days from collection of the samples before chasing any test results. How often do we need to test? There are no hard and fast rules regarding testing frequency. We recommend annual testing as a minimum but if you have undertaken a Legionella Risk Assessment then this should give you guidance on your specific testing frequency. We can help you adhere to any testing frequency by sending email reminders. Our website allows you to set your testing frequency during the Legionella Testing Kit order process which will trigger the email reminders. This will ensure you are compliant with the Health & Safety Executive legislation. Why do we only need to test hot water outlets? Legionella bacteria only breeds at temperatures of between 20-45 degrees Celsius. Cold water feeds are normally maintained at temperatures below this level and Legionella bacteria, therefore, is unable to breed. We can, of course, test cold water outlets as well should you have concerns but generally this is not necessary. Please only book collections Monday to Thursday, avoiding Fridays, weekends and Bank Holidays. This is to ensure the quality of the samples when arriving at our laboratory. You can book collections online, just click here. You will need your Unique Account Number (begins with UAN - you can find this on the sample bottle or instruction booklet) and the testing address post code. Alternatively you can email; [email protected] Please quote your UAN number in all communications. The courier will attach a label to the courier bag when they collect the samples. Our laboratory is based in Middleton, Manchester. For knowledgeable advice and assistance please do not hesitate to contact the friendly team at Smartwater Testing.